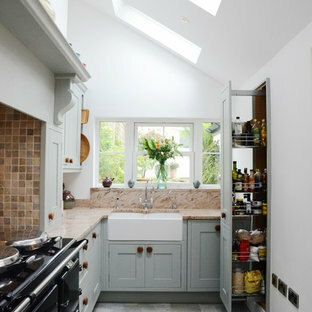 This is an example of a small classic kitchen in Gloucestershire with an island. 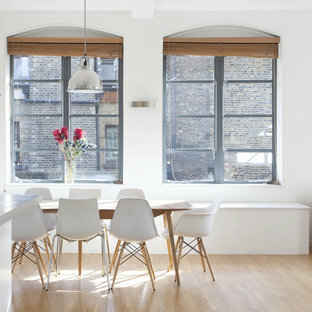 This is an example of a contemporary kitchen/diner in London with stainless steel appliances. 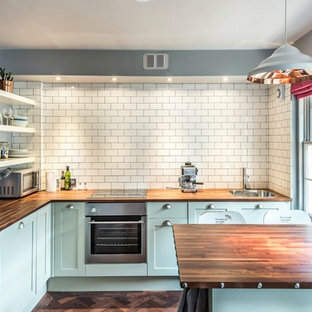 This is an example of a traditional kitchen/diner in Edinburgh with a breakfast bar, shaker cabinets, blue cabinets, wood worktops, white splashback, metro tiled splashback and dark hardwood flooring. 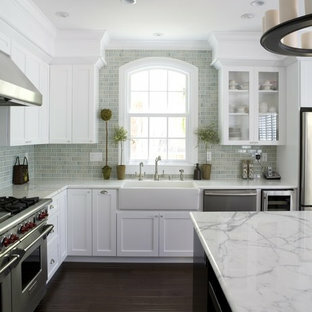 Photo of a classic l-shaped kitchen in Atlanta with a belfast sink, integrated appliances, raised-panel cabinets, white cabinets, marble worktops, white splashback and metro tiled splashback. 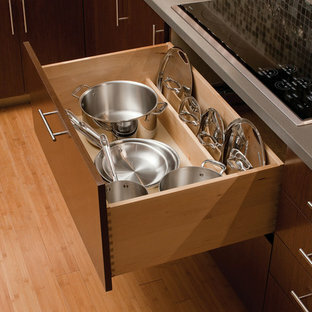 This is an example of a medium sized traditional kitchen in San Francisco with a belfast sink, stainless steel appliances, dark hardwood flooring, white worktops, shaker cabinets and white cabinets. 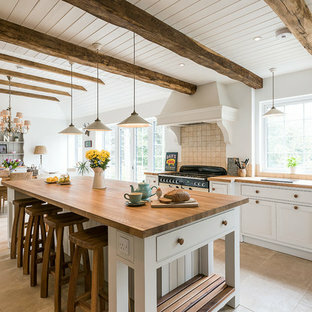 This is an example of a traditional kitchen in Boston with stainless steel appliances, granite worktops, recessed-panel cabinets, white cabinets, white splashback, metro tiled splashback and white worktops. 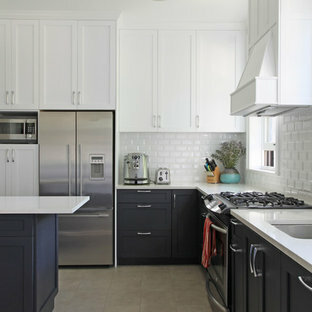 Photo of a traditional kitchen in Toronto with white cabinets, white splashback, stainless steel appliances, open cabinets, ceramic splashback and grey worktops. 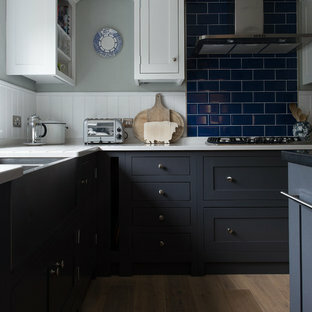 Inspiration for a traditional kitchen in Atlanta with shaker cabinets, dark wood cabinets, multi-coloured splashback, stainless steel appliances and black worktops. This is an example of a classic kitchen in Atlanta with shaker cabinets, white cabinets, granite worktops, beige splashback and stainless steel appliances. 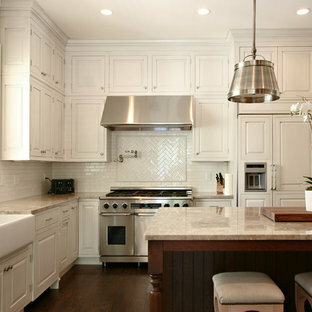 Traditional kitchen/diner in Chicago with white appliances, granite worktops, raised-panel cabinets and white cabinets. Classic kitchen in DC Metro with mosaic tiled splashback, quartz worktops, a belfast sink, recessed-panel cabinets, white cabinets, blue splashback and white worktops.